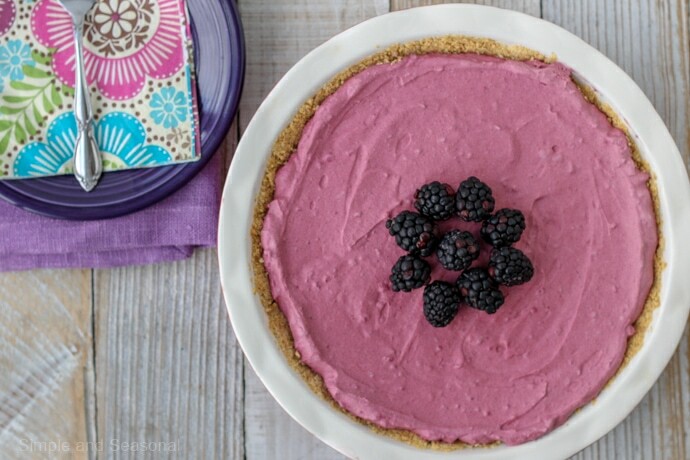 This Black Raspberry Cream Pie is cool, refreshing and creamy. Serve it frozen or allow it to thaw and enjoy the fluffy mousse filling! 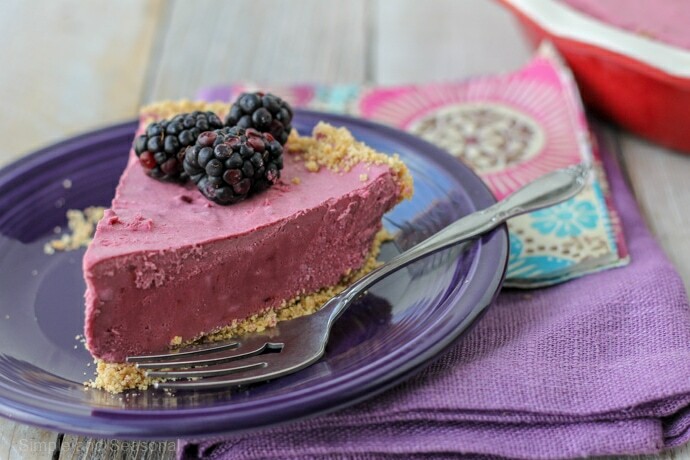 Frozen pies are a perfect for spring and summer BBQ’s or holidays. You can make them ahead of time and they are so refreshing and light on a hot day. 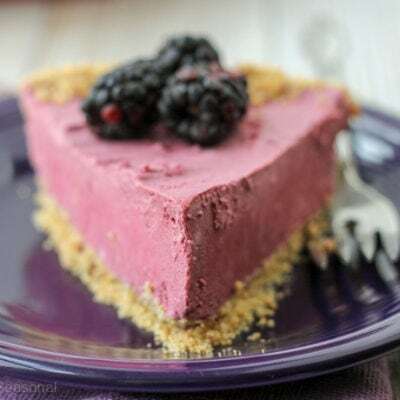 I originally made this Black Raspberry Cream Pie for a Father’s Day celebration. It would also be great for Easter because it’s such a pretty purple color! 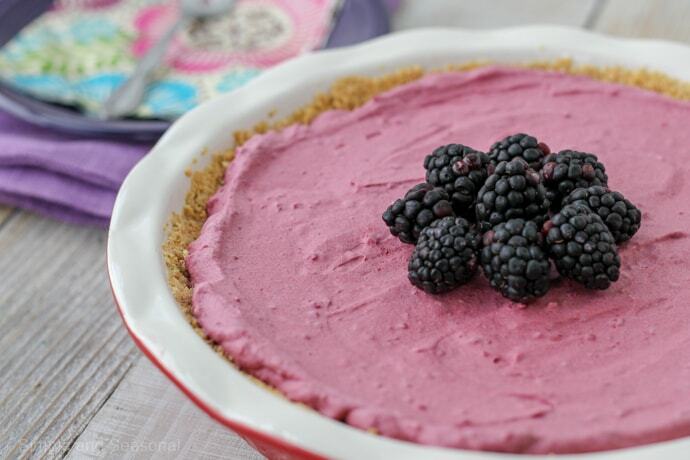 I got this pie recipe from Better Homes and Gardens, but I made my own graham cracker crust. I just like the buttery taste of a “homemade” crust. I actually ran out of butter, so it was a bit more crumbly than usual, but it was still delicious. That being said, you can certainly use a store bought crust! It makes this an even easier recipe! Mix the graham cracker crumbs, sugar and melted butter until evenly coated. Press into a 9" pie pan. Bake at 375 for 7 minutes. Set aside to cool. In a medium mixing bowl beat whipping cream with an electric mixer until stiff peaks form; set aside. In a large mixing bowl beat cream cheese until smooth. 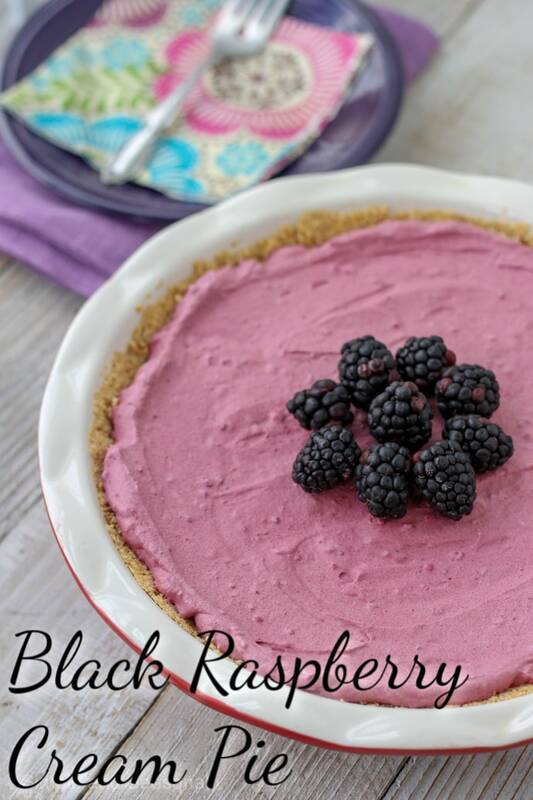 Add black raspberry spread. Beat on low speed just until combined. Fold in whipped cream. Spoon mixture into cooled pie shell. Cover and freeze for 4 to 24 hours or until firm. Garnish with fresh blackberries. Can be served frozen (remove from freezer for about 10 minutes to soften for easier slicing) or thawed but still cool. Keep refrigerated. 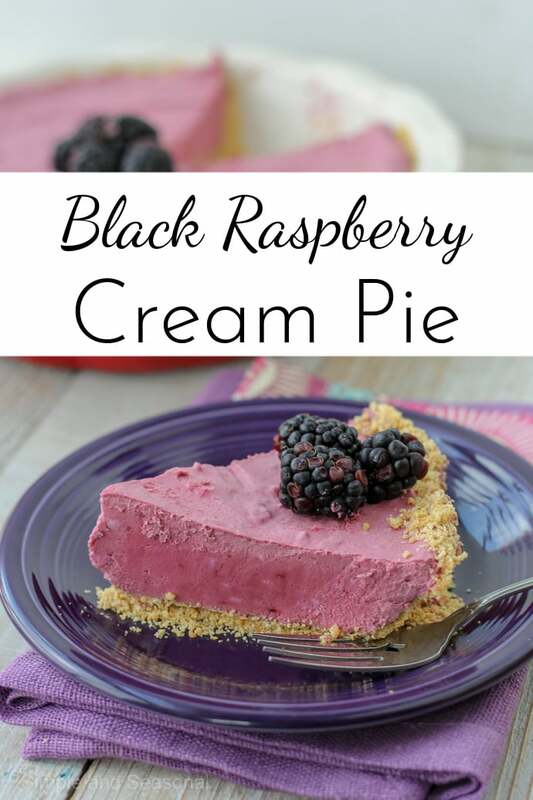 Seriously, the texture of this Black Raspberry Cream Pie is so pleasant on your tongue! It’s tart and refreshing at the same time. Be sure to pin the recipe so you can save it for later!